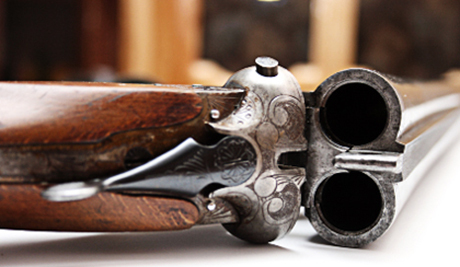 The gun from the glory days of hunting. The sepia images of tweed clad forefathers wielding the twin-hammered double guns and multiple brace of birds make the side-by-side legendary. The barrel configuartion hails from those days of muzzleloaders and hammers, though the benefits of the more modern designs are considered to be a broader horizontal sight picture which allows one to visually aquire birds more easily. Also, the barrels often feel as if they sit lower in the forehand which make mounting and pointing the gun seem a more natural fit. The downside rap to the SxS is a perceived lack of accuracy at longer ranges attributed to the same broad horizontal site pictures — classic case of dammed if you do, dammed if you don’t. There certainly are less costly hunting options, but to be part of the tradition enveloping the side-by-side may justify the expense.